Understanding the types of standby letters of credit such as performance, advance payment, bid bond, counter, financial, insurance and commercial standby letters of credit. What are the Main Types of Stand-by Letters of Credit? In this post after giving the standby letter of credit (SBLC) definition, we will have a look at the role and structure of the SBLC. Later on we explain types of standby letters of credit such as performance standby letter of credit, advance payment standby letter of credit, bid bond / tender bond standby letter of credit, counter standby letter of credit, financial standby letter of credit, insurance standby letter of credit, commercial standby letter of credit. Definition: A standby letter of credit is a bank’s undertaking of fulfilling the applicant’s obligations. A standby letter of credit is issued as a collateral and is therefore not intended to be used as a primary payment method unlike a commercial letter of credit. Standby letters of credit will be liquefied only if the applicant default of its responsibilities under the underlying contract. Standby letters of credit can be seen as a mixture of “commercial letters of credit” and “demand guarantees”. 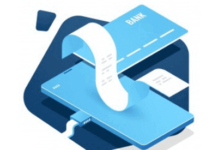 Standby letters of credit have the same structure as the commercial letters of credit, whereas their role is almost identical to the demand guarantees. Structure: According to ISP 98, International Standby Practices, “A standby is an irrevocable, independent, documentary, and binding undertaking when issued and need not so state.”. 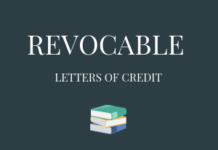 These are also the main characteristics of the commercial letters of credit. Usage: The role of a standby letter of credit is that the issuer will “stand by” to perform in the event of the account party’s non-performance or default. A “Performance Standby” supports an obligation to perform other than to pay money, including for the purpose of covering losses arising from a default of the applicant in completion of the underlying transactions. An “Advance Payment Standby” supports an obligation to account for an advance payment made by the beneficiary to the applicant. A “Bid Bond/Tender Bond Standby” supports an obligation of the applicant to execute a contract if the applicant is awarded a bid. A “Counter Standby” supports the issuance of a separate standby or other undertaking by the beneficiary of the counter standby. A “Financial Standby” supports an obligation to pay money, including any instrument evidencing an obligation to repay borrowed money. A “Direct Pay” Standby supports payment when due of an underlying payment obligation typically in connection with a financial standby without regard to a default. An “Insurance Standby” supports an insurance or reinsurance obligation of the applicant. A “Commercial Standby” supports the obligations of an applicant to pay for goods or services in the event of non-payment by other methods. Next articleWhat are the Differences Between Standby Letters of Credit and Commercial Letters of Credit?